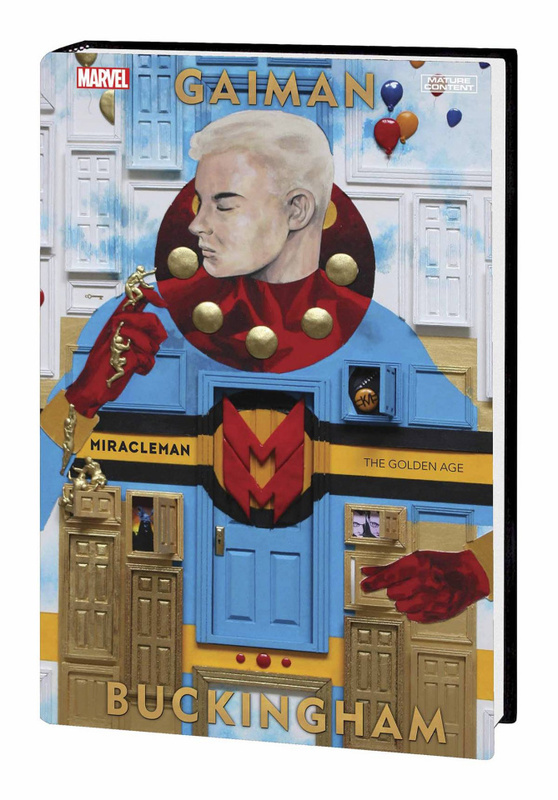 Award-winning writer NEIL GAIMAN (Sandman) and artist MARK BUCKINGHAM (Fables) unveil Miracleman's Golden Age! Atop Olympus, Miracleman presides over a brave new world forged from London's destruction. It is a world free of war, of famine, of poverty. A world of countless wonders. A world where pilgrims scale Olympus's peak to petition their living god while, miles below, the dead return in fantastic android bodies. It is an Age of Miracles -- but is humankind ready for it? Do we even want it? Is there a place for humanity in a world of gods? Gaiman and Buckingham delve into the lives of lonely idealists, rebellious schoolchildren and fracturing families, exploring the human constant in a changing world of gods and miracles. Collecting MIRACLEMAN BY GAIMAN & BUCKINGHAM #1-6.